FALL RIVER, Mass. 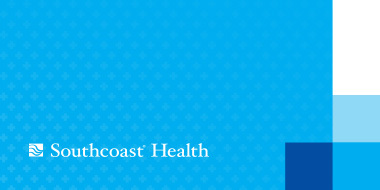 – Southcoast Health today announced that Michelle Pacheco, MD, urologist, has joined Southcoast Physicians Group, and will see patients in Fall River at 1601 South Main Street and in Fairhaven at the Southcoast Center for Primary and Specialty Care, 208 Mill Road. Prior to coming to Southcoast, Dr. Pacheco completed her residency in urology at the University of South Florida in Tampa, Fla. She previously worked at Boston Biomedical Research Institution in Watertown, Mass., where she worked on projects investigating the pathology of neuromuscular diseases. Dr. Pacheco earned her doctorate from Tufts University School of Medicine in Boston, and completed her internship in general surgery at the University of South Florida. Dr. Pacheco is trained in laparoscopic surgery including the da Vinci robotic system. She is interested in all aspects of general urology, including incontinence, overactive bladder, kidney stones, genitourinary cancers, erectile dysfunction and benign prostatic hypertrophy. Dr. Pacheco’s past work and volunteer experience includes working on the Tufts School of Medicine Curriculum Review in 2008, and with the A Wish Come True organization in R.I.
To schedule an appointment, call 508-678-0004.